It was with some trepidation that Ihab Slimane had left home in France to enjoy a summer in London, three weeks before he died on a Tube train near Russell Square. His family in Lyon, of Tunisian origin, said he had expressed some concerns on the eve of his first trip to the UK. But the 24-year-old was determined to improve his English and his first impressions of London were good. He had got a job as a waiter at a French restaurant in the West End and a place to live in Finsbury Park, and had made plenty of new friends. 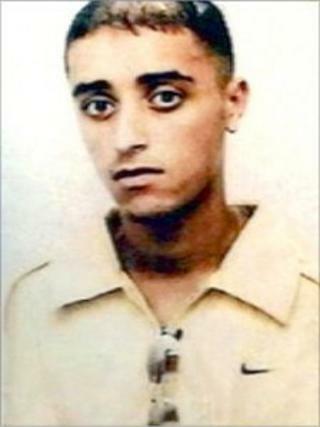 After he went missing on his way to work, his father Mohammad Slimane came to the UK and tried desperately to find him. He told the Guardian his son was Muslim but not devout and described him as a "timid lad, obedient, kind". He said in his statement to the 7 July victims' inquests that Ihab was very family orientated, devoted to his studies and never failed to talk to his family about his intentions and his worries. In the aftermath of the bombings, French President Jacques Chirac sent his condolences to the family and expressed "the solidarity of the entire nation with his family which has been hit by this terrible sadness". Mr Slimane had just completed an IT engineering degree from the University Institute of Technology (IUT) in Saint-Martin d'Heres, near Grenoble. His long-term ambitions were in computer programming and he intended to return to his studies in France in September. But he had made a good start as a waiter. "Ihab had only been working here for two weeks, but he made a very good impression," said the manager of Gabrielle's restaurant, Sebastien Marteaux. "He was a nice, hard-working boy who would do anything you asked of him. He was always telling jokes and always had a smile on his face." Mr Slimane's body was reportedly taken to the city of Tunis for burial.